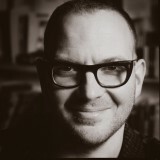 Told through one of the most on-pulse genre voices of our generation—New York Times bestselling author Cory Doctorow— Radicalized is a timely novel comprised of four science fiction novellas connected by social, technological and economic visions of today and what America could be in the near, near future. In Model Minority, a Superman-like figure attempts to rectify the corruption of the police forces he long erroneously thought protected the defenseless...only to find his efforts adversely affecting their victims. A dystopian future is in no way inevitable; (Doctorow) reminds us that the world we choose to build is the one we’ll inhabit…. if we want a world with more liberty and less control, we’re going to have to fight for it.